8237 S. South Shore Dr.
Polish steel-mill workers built this church with materials donated by U.S. Steel, where 90 percent of them worked. 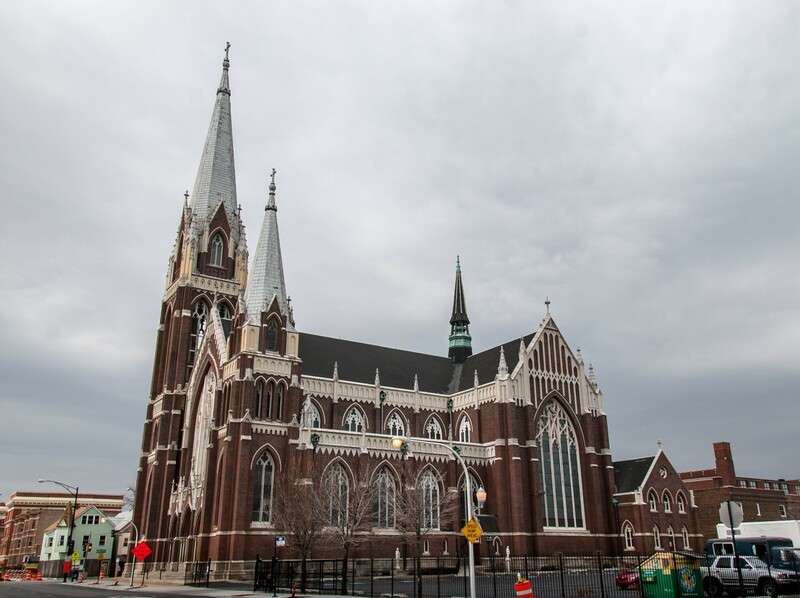 The parish and surrounding neighborhood are now mostly African American and Latino, but the Polish heritage of this Gothic-Revival Cathedral is apparent in its architecture. 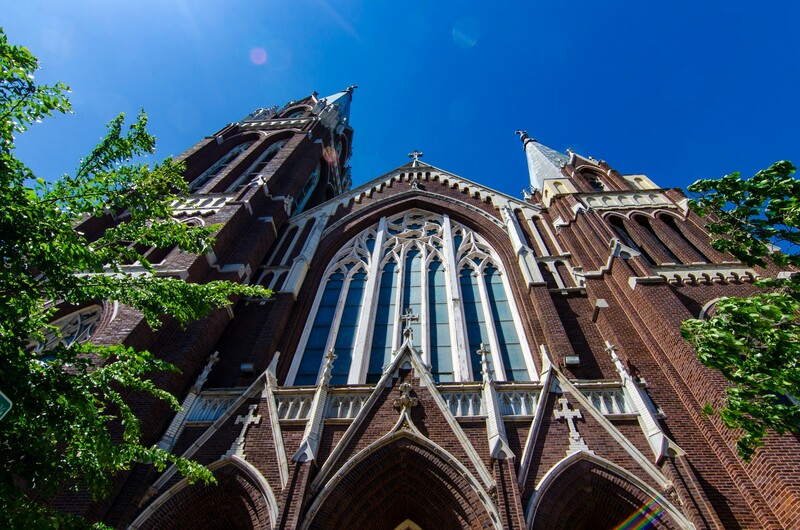 Its uneven steeples, one towering over the surroundings, reference the Marian Basilica in Krakow. 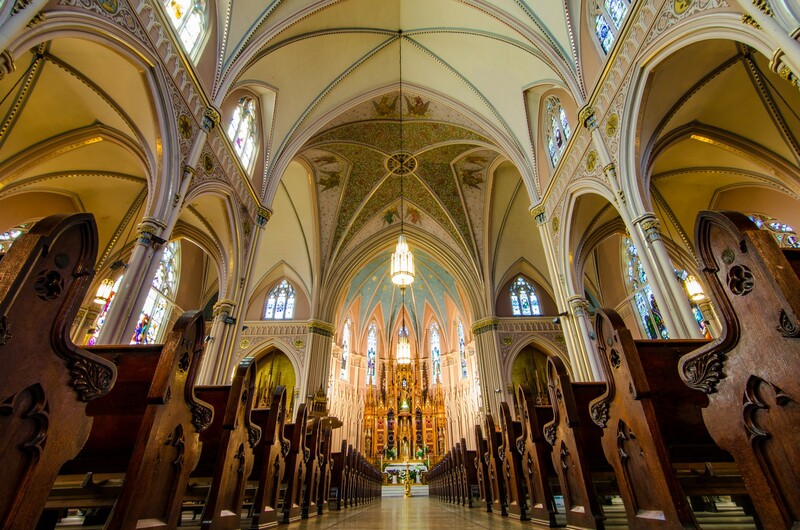 The church's ornate interior is home to a grand piano that belonged to Ignacy Jan Paderewski, Poland's first prime minister and a famous pianist who played at the 1893 World's Fair. 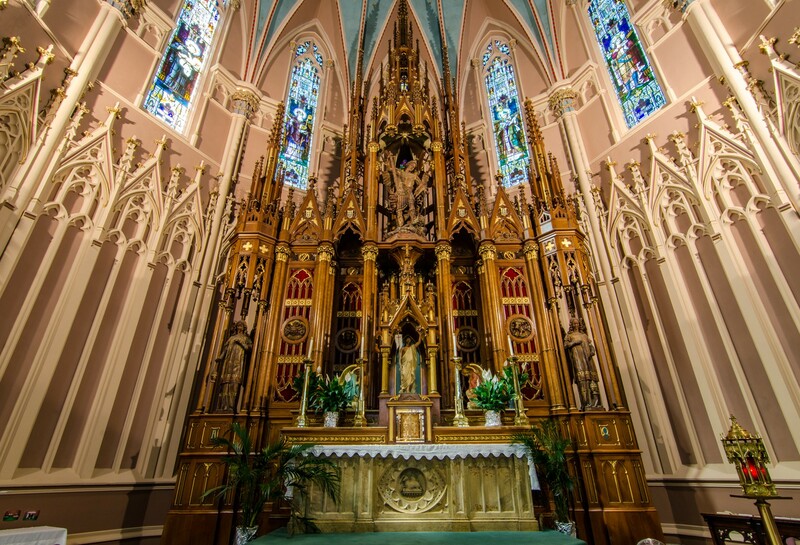 The 2000-seat sanctuary features a beautiful wooden reredos and a rare oak communion rail with integrated stools for confessions. 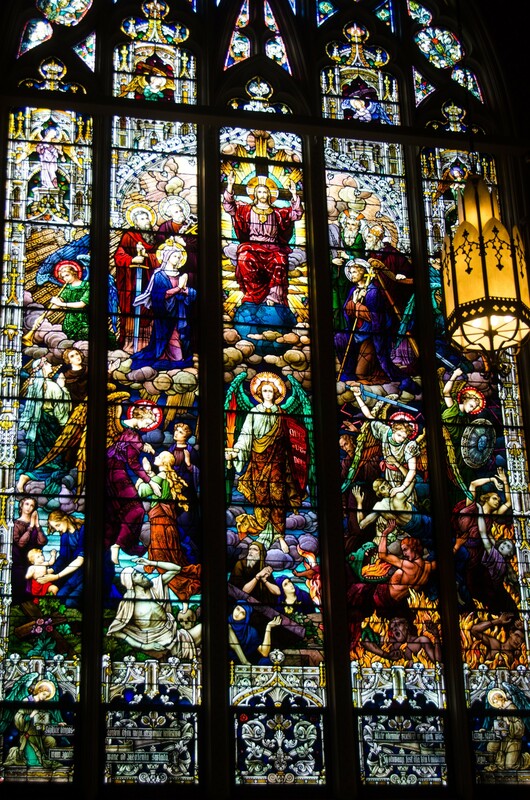 The stained-glass windows were produced by F.X. Zettler. 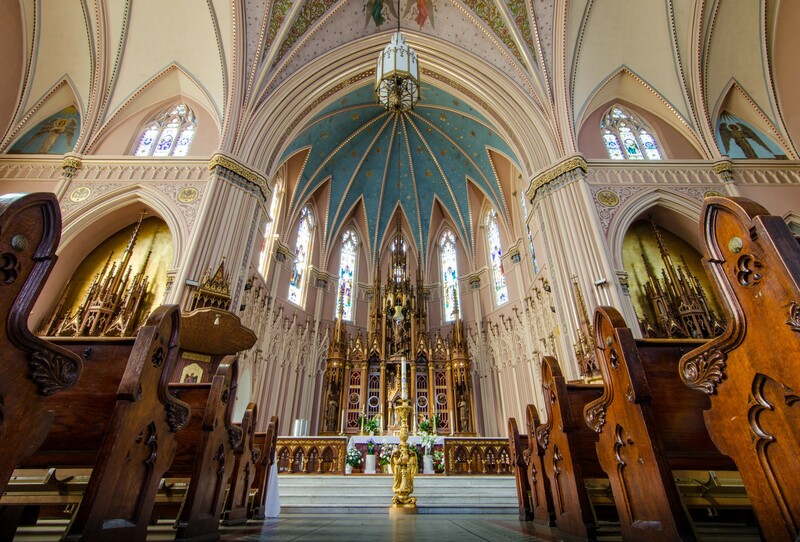 His transept windows are the largest in any Chicago Catholic church.